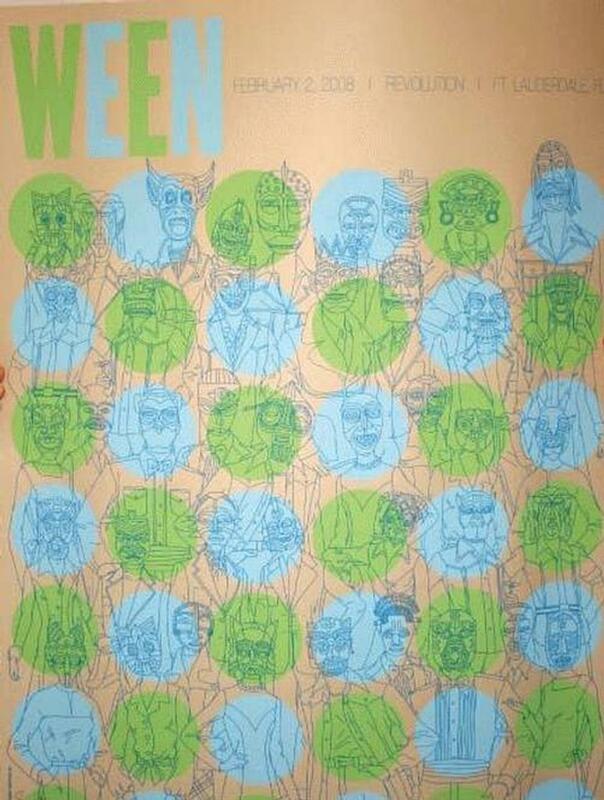 Original silkscreen concert poster for Ween at the Revolution in Fort Lauderdale, FL. 24 x 32 inches. Art by Todd Slater.